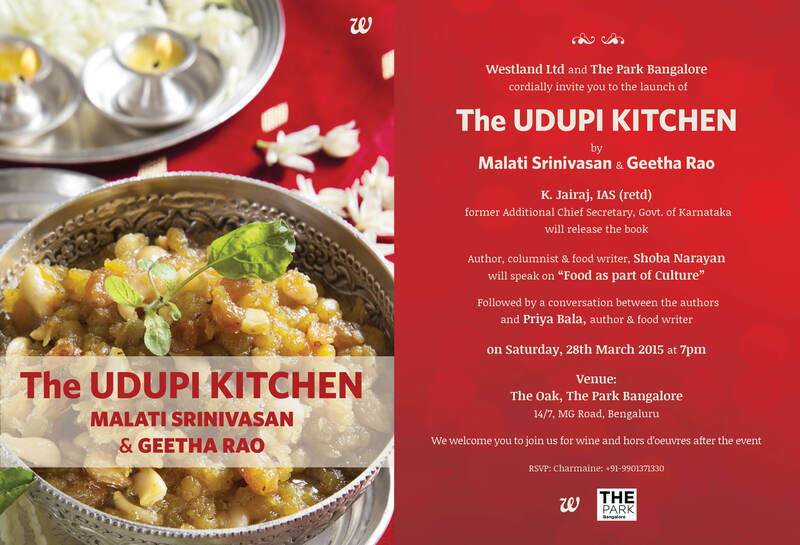 Geetha Rao is someone I got to know through Stanley Pinto’s The Bangalore Black Tie. She always wears gorgeous saris and is now President of the Karnataka Crafts Council. I have written about her sari collection for Mint– search for Kodali Karuppur sari and Geetha Rao. Now, Geetha has a new book out, co-written with her mother. She was kind enough to invite me to be part of the launch. K. Jairaj will release the book. I am to speak on Food as part of culture. Priya Bala will converse with the authors as they give a demonstration. Incidentally, Geetha’s husband Surendra L. Rao is a renowned economist and a mentor for many. Rama Bijapurkar has praised him in her first book. Please buy Geetha’s book.